MODULAR HOME BUILDER: Let's All Sing "Happy Days Are (Almost) Here Again." Let's All Sing "Happy Days Are (Almost) Here Again." Have you ever wondered what makes new home builders happy? Here something that is sure to make them feel a little better about their profession. For the first time since April 2006, home builders view conditions for sales of newly built single-family homes as good, the National Association of Home Builders said. The June NAHB/Wells Fargo Housing Market Index is 52, a gain of eight points over May Index and biggest since between August and September 2002. Any time the index is over 50, it means builders view conditions as good as opposed to poor. HMI consists of three components. The index which measures current sales conditions was 56, an increase of eight points. The index which measures the expectations for future sales was up nine points to 61, its highest level since March 2006. The index which looks at the traffic of perspective buyers increased seven points to 40. 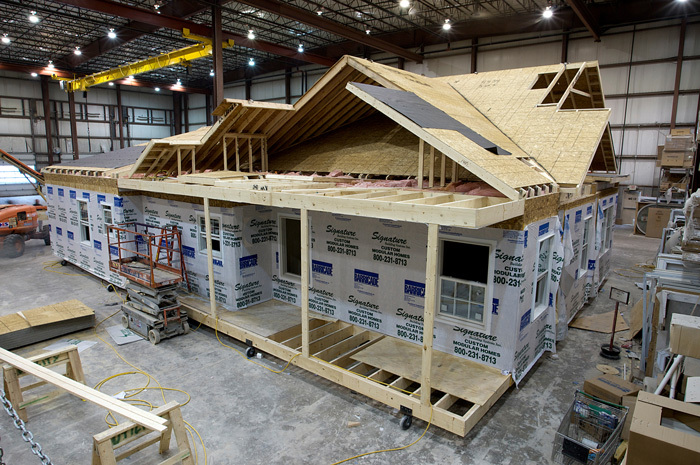 NAHB chief economist David Crowe said, “today’s report is consistent with our forecast for a 29% increase in total housing starts this year, which would mark the first time since 2007 that starts have topped the 1 million mark.